Today I have a delicious new recipe to share! Since it has been warming up quite a bit lately I’ve been breaking out the ice cream! I’m always thinking of new and refreshing ways to jazz it up. One of my favorite ice cream shop treats are ice cream sodas. One of my newly discovered obsessions is grapefruit. A new and wonderful creation was born! Seriously. I don’t know what I was doing with my life before I discovered grapefruit. I guess I just always assumed it was gross. It was a weird thing that my grandparents always ate. Well, a few weeks ago I was grocery shopping, and I decided to give it a try… I mean, why not? I’ve been eating it pretty much everyday since then. 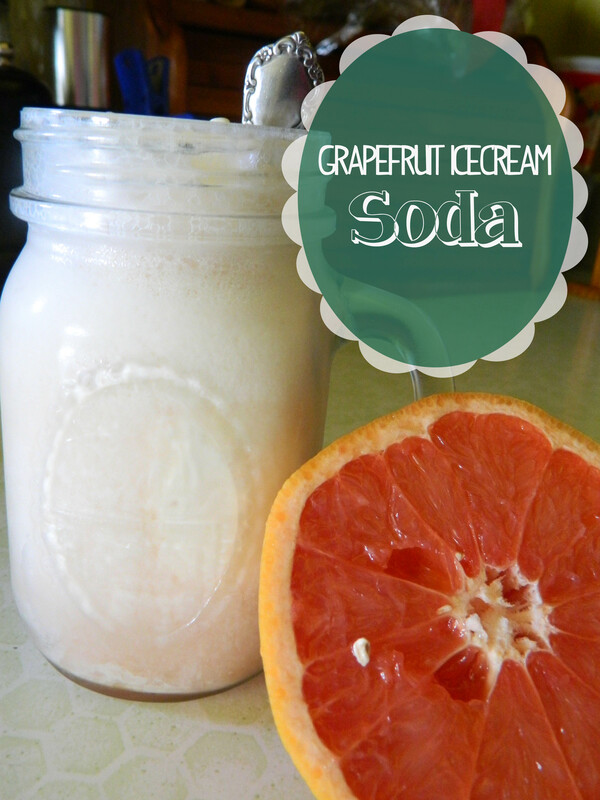 A few days ago I was thinking of an ice cream soda when the idea of a grapefruit version just came to me. I tried it out and I must say I was not the least bit disappointed! Start out with a few scoops of vanilla ice cream in your cup of choice. 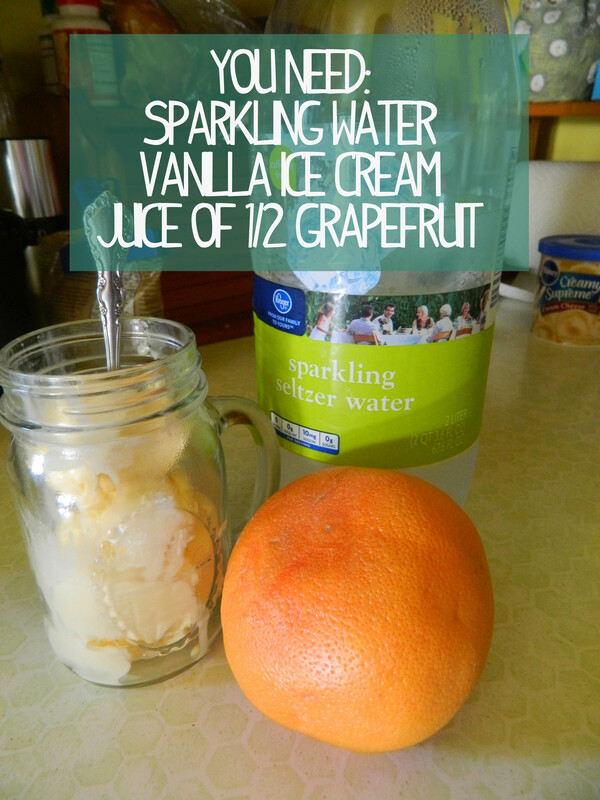 Juice the grapefruit and pour the juice over the ice cream. Now just add enough sparkling water to fill the cup. Super easy. Super good! Give it a try! 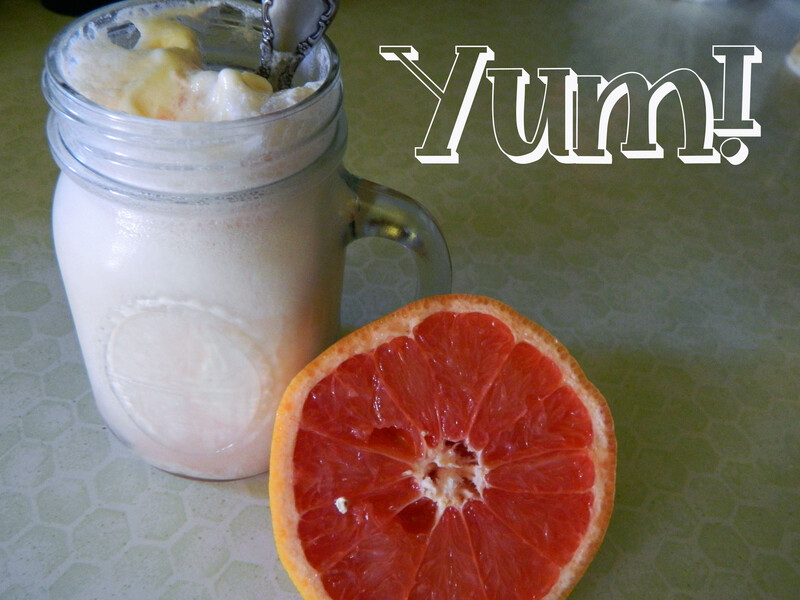 If you like grapefruit at all I’m certain this will become a favorite!